Pride is an orphan from Zimbabwe. He first met Peter in 2002. His future was bleak. He lived in Peter’s house together with other young men and Peter paid for him to go to college in South Africa. He now has a professional qualification and his own business. I met Peter in 2002 at the home I was staying as a boy, I met him through a friend he was helping. He took me in to join his family, at that time there was just about 5 of us. He helped us at the home, but it was not that much coz we didn’t need much at that time and the home was looking after us. But to have someone like him in my life was just a blessing from God coz he could call here and there just to talk to me want to know how I was doing. Which was a good thing for me coz I didn’t have anyone to call me so I was happy to have him. When I was done with school that’s when I had a big problem coz I didn’t have anyway to go and I had to move out of the home. So Peter took me in and I went to stay in South Africa at his house. My life change from bad to good coz Peter was like a father to me and he helped me a lot. I went to college were I did my Electrical Engineering Studies. Peter paid for my fees and everything I needed when I was going to college he did everything a father has to do to help his son do well in life. He always told me to be a lion in life and to look at what I can do for my country not look at what my country can do for me and he believed in me a lot. As a father he was with me at my soccer games when he can he wanted me to do well in soccer too but it didn’t go God’s way but it was just good playing the game I loved. Peter help a lot of boys and girls out there he changed a lot in the life and me. Peter was a man who was not good at turning away people at his house you were always welcome to stay and it was always a full house. He helped me so that I could help my sisters n my sisters did well they are now out there working if it wasn’t coz of him I don’t know what they would be doing now. He helped some of my friends too and they are doing well. He was a man who wanted people to have a good life if you can’t have a good life he would want you to have a better life than the one you had. He wanted us to do well in life so that we can help others out there coz there is always someone in need of help out there. Coz of Peter my life changed a lot and I wouldn’t be were I am if it was not because of him and God. I have a small electrical company which is still growing and I hope it will grow so that I can also help others out there with jobs. So that the man who helped me will be proud of me. Coz that was his wish for me to do well in life. Things are not so well now but I will do my best to make it coz I am a lion. To me Peter was a father I didn’t have and I thank God for having someone like him in my life. I miss him and I hope his fine were ever he is. Tatenda is from Zimbabwe. He first met Peter in 2005. After leaving school he had no future. Peter paid for him to travel to his house in Pietermaritzberg, where he lived whilst studying for his degree, which Peter also paid for. He did a law degree and is now a practising solicitor in South Africa. Creating Something out of Nothing, Providing Second and Further Opportunities and Chances, Loyalty, and Transparency! These are the philosophies which can best describe Peter Roebuck. 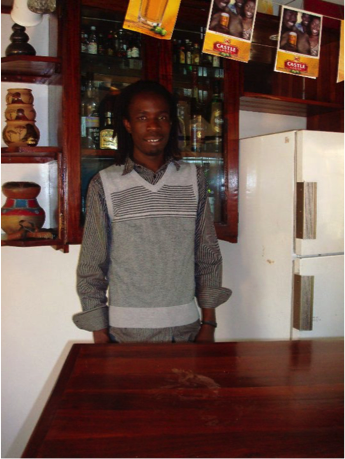 Fresh and with lots of teenage energy from high school, after my brother Diamond had linked me with Peter, I did not know what to expect as I arrived at Straw Hat after a 36 hour bus drive from Harare, Zimbabwe. My family had sought asylum in South Africa after my father’s political strides left the whole family endangered. Settling in Pietermaritzburg my father was employed at a construction company and my mother as an informal trader, for them to have afforded my tertiary tuition would have only been a dream. They had struggled with my brother’s tuition, who at this time had now completed his 2nd year of his LB degree. 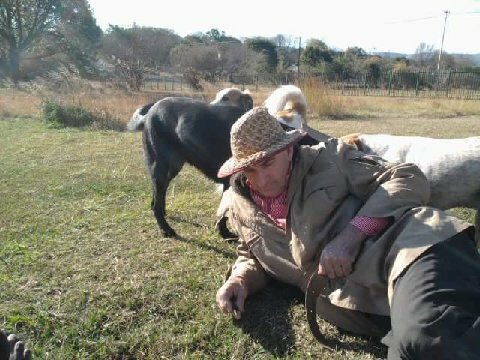 An estate with beautiful grasslands and a castle architecture dwelling, Straw Hat was located about 20km from Pietermaritzburg central town. Rusty and rough finish on the walls and steel railings, large windows with plain wooden frames, no curtains and no burglar bars, and the “Straw Hat” balcony on the roof made Straw Hat such a unique yet simple house, a clear resemblance of the brains behind it. Photographs of the site before Straw Hat was built reveals that the piece of land was not worth much, well until Peter created something out of it. It may have been a blessing in disguise that on my arrival in the summer of 2005, Peter was as usual not at Straw Hat but across the world where he would dress normally and formally, or so he said. In the next couple of weeks I would quietly listen and observe life at Straw Hat. The very first observations would be the strict rules and traditions, systematic roles and responsibilities, while there is a huge sense of one big happy family. You would know that despite the many different activities and interests of the many occupants of Straw Hat, either on a Saturday or Saturday morning we would all wait and line up once the house phone rang as Peter would traditionally call from Australia, or from wherever in the world he would be covering his favorite sport, cricket! During these telephone calls Peter would inquire from each individual what was happening in their lives, their examination results from the last semester, how they were looking forward to the coming academic year, how long the grass was and more importantly how the dogs were doing, and so on and forth. Such great detail further left me with more questions than answers on what to expect as Peter would be back at Straw Hat sometime in March of 2006. I had still not met Peter and yet he had shown the attention and concern which often only emanates from blood parents. I began to understand why everyone else in the house called Peter “Dad”. The next few weeks would pass quickly as varsity resumed for most occupants of Straw Hat, and that sees me commencing my first year mid-February 2006. Before time we are all patching up and mowing the grass as Peter’s return is imminent. Without a word to anyone it reminds me of my early days with my father and mother in the small town of Kadoma, Zimbabwe. Before their return home from their various errands, we would spring clean and ensure all was back in order as far as possible – you know they do not tolerate nonsense. On his return Peter would be a reflection of his weekend telephone calls. A stricter routine of the day is put in place. On an ordinary day he would be up before many and you would find him glued to his old and dilapidated laptop, typing away his opinions and articles which would draw the attention of many across the cricketing world. Later in the years you would find Copperhead jealously on his lap as he focused on his laptop. Copperhead became his favorite dog and many conversations would not end without mention of the name, you would swear Copperhead was a second year B com student. As we all gathered ourselves and prepared for the day ahead running up and down the two-storey building, he would make his coffee and spare a minute or two to have conversations with everyone. By the time we will be leaving the house squeezing ourselves into his Toyota Tazz, he would have known what each of us have to face on the day. He was involved in each and every one of us’ lives and would offer his support and encouragement in whatever ventures we dreamt of. Life at Straw Hat involved very long hours. Leaving Straw Hat at about 07h00 in the morning and often returning home after the last class, and driving away into the country arriving back at about 20:00h. In the early days I would look forward to returning home and indulging in John Wright’s cooking. He was a friend of Peter teaching at a high school in Pietermaritzburg. They both were big fans of Bob Dylan and as you would enter the house you would be welcomed by the likes of ‘Tambourine Man’ playing on a cheap and old CD and cassette player. The dining table would be set and we would all gather and feast. Reflections of the day from all, planning the day ahead, and general discussions and a lot of laughter characterized these dinners, and more importantly, we thank the Lord for John Wright’s cooking which went on for years. Believe me you would not have wanted Peter to prepare any meal for you. My name is Immigration. I was born in Zimbabwe on 28 February 1985. From the time I was born until the passing of my mother and father in 1995 and 2002 respectively, my life was unstable in every way. I remember walking several kilometres at odd hours to school without a meal. I would walk across thorny bushes bare footed. I vividly remember my biological family laughing after I said that one day I would study at university. Perhaps they laughed because I wasn’t a natural student. After the passing of my parents I went to live at an orphanage home as did my two brothers (one older, one younger) and my 11 year old sister. In 2000 we met Mr Peter Roebuck who has been a miracle in my life. Inadequacy or unavailability of food, shelter and education was history from then on. My dream came true. 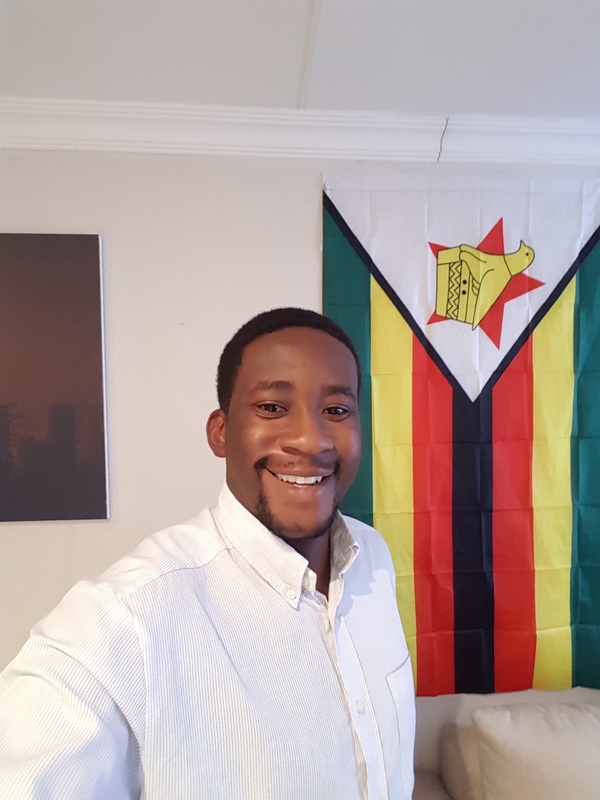 I started studying at university when we moved to South Africa due to political instability in Zimbabwe at the time. 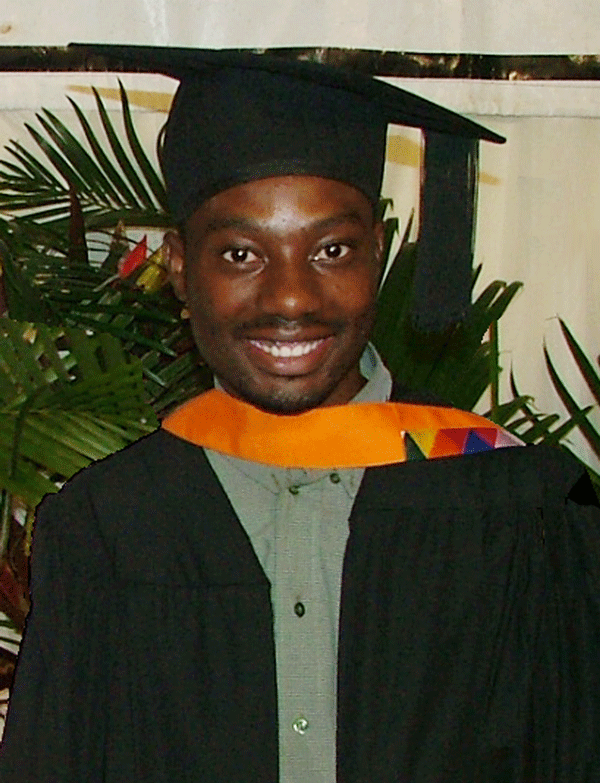 I completed my degree in 2007 and graduated Bachelor of Business Administration. Since then I have been trying to establish my place in the world. I have commenced a small business venture in Pietermaritzburg which at the time of writing is still in its early stages. I thought i would share my happy memories I had with Peter, because that’s all there was, a happy family. Peter used to push us to be the best we could be in life, but it wasn’t all about being too serious with life. He knew we were young men and we enjoyed our beers from time to time. We had this Saturday tradition, where everyone would look forward to a warm bangers and mash supper accompanied by some cold beers, we used to call it merry Saturday. It was family time. I deeply miss him and it is in my prayers that one day I would get to say my goodbyes at his final resting place. It is important to keep his memory alive. These are my words to/for a man who did so much to so many and a man whom I got to know a lot of lately during the last years of his great life on earth. As I watched the England vs South African series, I could only imagine the millions across the world who were following the match on Cricinfo. I for one could not resist following the match online during the Test Series when I could not sit in front of the telly and watch. However I remember when Themba Bavuma made that glorious 100 in Cape Town, I knew the pages in Cricinfo were devoid of something more. Oh how I tried to imagine the caption for Peter’s article narrating the role of transformation in Cricket South Africa and the undeniability of Themba’s talent and case as a test cricketer which had been questioned the previous match. Peter was always unique in his articles, often mixing up social advocacy, politics and sport in a manner I found both intriguing and somewhat captivating. I first met Peter the cricket coach, whilst I was a cricket player some sixteen years ago. Already a well established journalist, I first met him in his coaching capacity. I found his life centered approach to cricket somewhat rather different. A pragmatic, simple yet complicated way, Peter lived his words and when our paths crossed further in my life again. I realised not only did he make it his life’s mission to live his beliefs and assist the less fortunate, he also lived it. 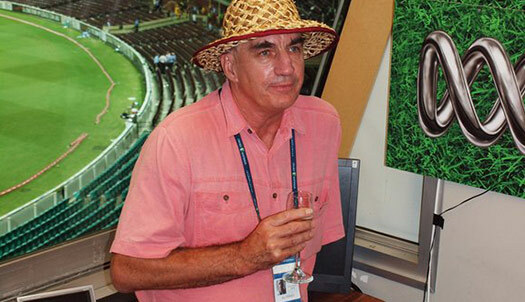 I remember chats at his beloved Straw Hat about sport and its role in the world, how through hard work, determination and toil was used by the great West Indies sides of yesteryear to forge an identity and how our generation needed a renaissance akin to that. I can only imagine what he would pen now for the Bavumas and Rabadas of this world. Men who justified his position on sport and in life. I guess we will never know, but I take heart in knowing that the cricketing and many a person have been left better by his involvement in their lives. I know for one I have been. In parting, I will always remember the words Peter always used to say when our discussion turned to life’s more pressing matters, one should not be too quick to get off the train, because only those who endure the ride, make it all the way to their destination. I can only wonder what articles we would have seen if he was still around. A great man who lived his passion, may his soul rest in peace.